Money can’t buy happiness.—A. Non. The above is just about the silliest saying in the world. Really. It’s a cliché uttered by people who either (a) are already rich or (b) lack the ambition to become rich. To everyone else, the saying makes no sense. If you’re reading this, you are rich. I mean, do you need the internet? Do you need that laptop or PC? Shouldn’t you be working instead of wasting your time on a travel site? Do you need to be reading about some (awesome) guy running around the world climbing seaside rocks or crawling through Cu Chi or staring at Chinese propaganda. No. You most certainly do not. It may not feel like it, but you have more than you need. To many people in this world, you are rich. It’s a comparative thing, of course. There are others who have more than you. It would be nice to have nicer things. I’m sure if you had an extra 500 grand, you’d worry less about money. But even Donald Trump longs for that and he’s definitely rich. 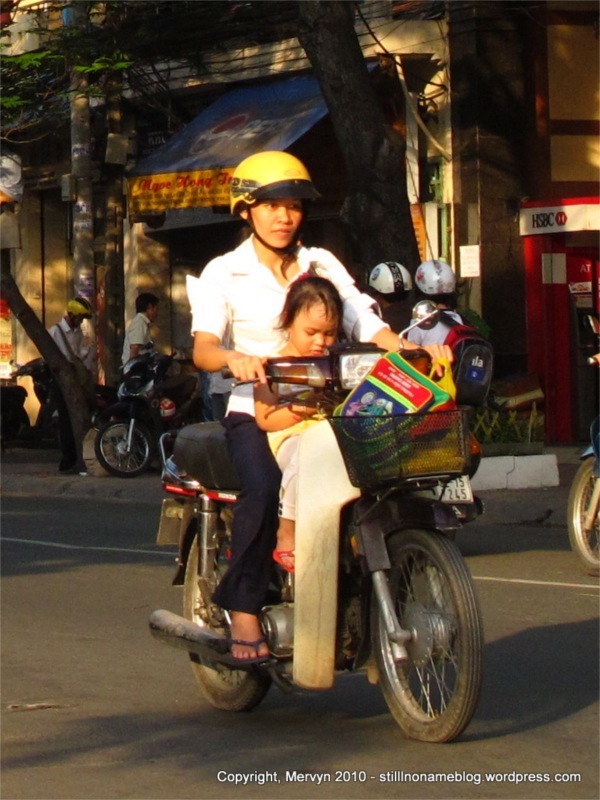 Here in Vietnam, a huge swath of the population gets by on a $1 a day. I don’t think the homeless guy camping out under your neighborhood underpass could get by on that (except maybe on Del Taco’s 39 cent taco Tuesdays). That’s life on the daily for a lot of people here. If a Vietnamese is currently making more than that (like a Vietnamese friend of mine, a college grad who made $100/month working at a hotel), it probably means your parents scraped by to buy your education. That’s certainly true for Vietnamese who tried to survive post-Vietnam-American War, when the government outlawed all profit making. Just a generation ago, the government in the 70s and 80s forced everyone to work on collective farms, regardless of whether you were a teacher, lawyer, doctor, or English major. Famine and starvation were the rule of the day until the government opened itself to a little capitalism. Till then, things were rough and are only now starting to ease up. 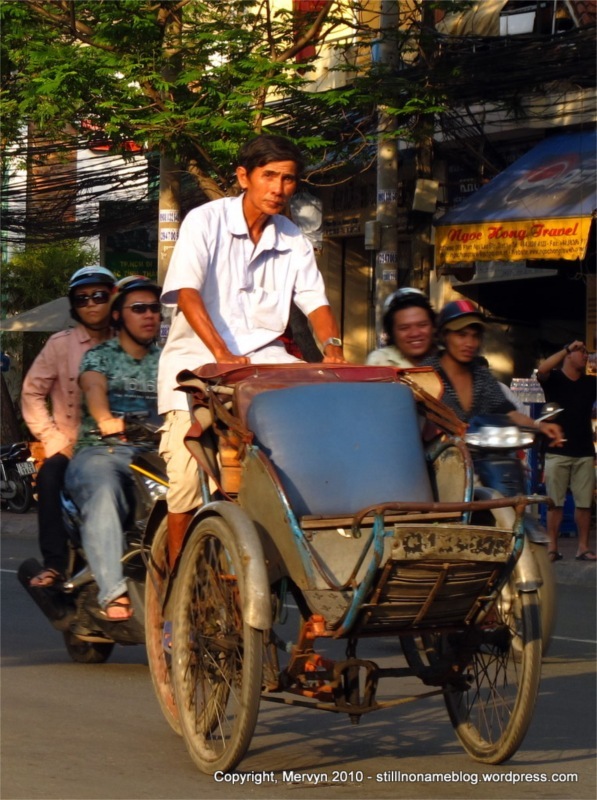 So when your average Westerner tries to explain the follies of chasing that last dollar or the importance of having a work/life balance, the average Vietnamese just thinks that that Westerner is being lazy. Especially when that Westerner is in the midst of a 5-month jaunt through Asia (two thumbs pointed straight at me). I didn’t mean to be the Western idiot. Really. I just mentioned offhand that being rich isn’t the most important thing and it spiraled from there. My friend insisted that money made the world go round. I countered with my own cliché (see top). Then I tried to explain how if you had a million dollars, you’d find a way to want more. I explained that the chase never stops, unless you have a firm grasp on what’s important in life (family, friends, world peace, street food, The App Store, etc.). This is a tough argument to make. It’s even tougher when the speaker and the audience don’t have a full grasp on each other’s first language. Go figure. I realized, though, that the problem ran deeper than language. My friend has her ambition. My friend is not rich. Growing up in a village in the highlands then moving to the big city will do that to you. You see what you haven’t got and you want a piece. I can’t hate on that. In order to believe that money can’t make you happy, you have to see a lot of money not make someone happy. Or you have to be the person who isn’t able to buy happiness with his wealth. Or, you could be like that good for nothing slacker Buddha and be too lazy to become rich and found a religion around your sloth. (Wish I’d thought of it first.) The point is, it’s not intuitive. It’s a lesson best learned over time. There’s a further disconnect on my end–let’s face it, I’m rich, at least by Vietnamese standards. On my poorest, most debt-ridden day, I still come out miles (or kilometers) ahead of the top tier, well-educated, university grad Vietnamese. I have America behind me. It’s a hell of a safety net, even if decent healthcare costs you your firstborn, gas costs four times what it does here, and we have to put up with things like Rush Limbaugh and Lady Gaga. It evens out in the end, mostly. When my friend and I argued ourselves into frustration, we opted to sit around the entrance of my hotel and eat our way past our differences . Despite my apparent wealth, my friend insisted on buying. She’s that kind of person. I did spring for the drinks. Maybe we’re even. 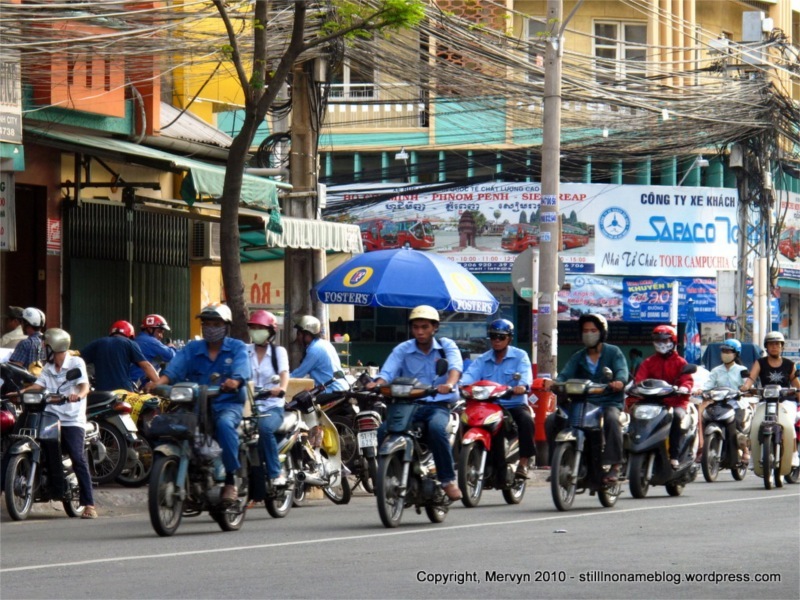 GALLERY: Click through to see a couple of bonus pictures of Saigon traffic. man, keep on reminding me why we’re friends and why I respect you. If you live in the U.S. of A., YOU ARE RICH! Those living in the poorest income quintile in this nation are (or would be if they knew about them) the envy of much of the world….because we live in peace and safety, our children don’t die in large numbers, and we have our daily needs met on a regular basis. America isn’t perfect, but it’s one of the very few countries on earth that people are breaking into in large numbers…and there’s a reason for that. Give thanks, people. God bless (and keep) America! Good point. The intangibles like peace and safety, which we partially pay for with our taxes, are definitely part of America’s riches. For fun, you can see what percentile you are on the global wealth spectrum. Go here and type in your annual income. I think you’ll be surprised where you fall, even if you make $1,800 USD per year (and no, I did not mistype, that’s “One Thousand Eight Hundred U.S. Dollars”). Don’t forget to take into account the intangibles. It’s humbling. Interesting post. . . as always erudite and thought provoking. Love the blog, love this post specifically. Thanks, for the kind words. What does “erudite” mean again?